Pearls 78 and 79 will be found here. I become aware of ways to increase power in order to positively impact the outcome of where I live. Beloveds ones it is with great joy that we interact with you in this manner for this which is called Lesson 4 of the 16th Grand Secret of Spiritual Mysteries, “LIFE”. There have been questions from some of you that you seek more information upon. A different realization in history. We tell you that we, among others, and even yourselves, change history. We have spoken to those who were first with us when we came onto planet Earth to begin this process of connecting with humanity and working with those who were caught in “loops”, as it were---what you call Ground Hogs Day, where you are living the same reality over and over again. We, ourselves, became a group which was explained in a discussion many---as you call them “years” ago---of “how did we become this group?” and we became this group because instead of focusing upon our differences, we focused upon that which we loved about one another. And when we did this, eventually this focus and this power and this love caused us to become one another. You may read this for yourself on the “original website”, as it were (https://TheCouncilof8.weebly.com). This is just a reminder that groups come together with many differences and some similarities, but when you begin to focus upon the similarities and forget the differences, you have what it takes to become “12 with a 13”. You have what it takes to become an “energetic prowess”, as it were, in your life that you currently are focused upon. You are, of course, not only living in this life. When we speak of “life” and we speak of being “awake and consciously knowing you are aware and awake”, we speak of any level or dimension that you also exist on. It is only a fraction of yourself, one might say, that is here present in physical form, living the physical form “holodeck”, as it were; living this life and this experience. So when one is shifting, as it were, between realities, this is how the Mandela effect happens. How can one shift realities as one changes “reality”? One changes the past. When enough people on your planet change the past---their past, the past of others, or any past that you might conceive of---your NOW changes. So if you are remembering an event that occurred, or you are remembering lyrics---let us say in music---or you are remembering the ending of a movie and others have the same memory and yet you cannot document it, this is often now called your Mandela effect. This is a combination of consciousness collectively shifting itself, whether it is doing so dimensionally or whether it is doing what We, The Council of 8, have been doing---looking for loops and altering them. For when you alter a loop, you will change memories. Now, why does it not change your memory fully? Because you have the tape within your being of what you have lived, but it is the “outer world you lose in your experiencing” that is now shifted because of the shifting done within you, or done within powerful groups, or done because someone has altered the fabric that is the backdrop of life. When you, Beloveds, leave physical form, you will take with you your thoughts and feelings. They will make up who you are. Thus there are many gurus upon your planet that are attempting to teach you to hold thoughtforms of nothingness; to not think when you are not speaking; to not pursue the inner world. We, The Council of 8, say it is perhaps easier to understand “not being fixated upon desires that if they are not accomplished or not experienced will draw you back to this level of reality that you may experience them.” We are not saying to have no desires. We are simply saying that you are stronger than your desires unless you are focused on that thing you are bringing about as a truth. and you wake up in your bed or you wake up in your physical form. Some of you currently are experiencing a most unknowing when you awaken these days. You awaken and you are curious as to where you are. You are wondering, “What reality am I in?” and it may take a while before you identify this reality in which we are conversing what you are in this physical form that you currently own. And perhaps you fell asleep on the sofa or the chair, or you were in bed, as it were, and then you recognize that reality. You are all, Beloveds, and we use that word purposefully, practicing knowing other realities in other dimensions and other interactions. Sometimes you think of it as a dream. We think of it as life in another reality; life in another experience. You bring it back here when you wake up from “sleep” and you think of where you have been and what you have done. Perhaps you call it a “dream” and you start looking at the symbolism to see how it fits your life. This is a small example of how creation is. You can dip into reality anywhere, and you can bring it back to physical form, and you can think upon it and you can see its value for your physical form, or you can leave it where you were. Some of you say, “I do not dream.” “I do not remember my dreams.” You have chosen to leave the reality you experience when you are out of your physical form where it is that you experienced it. To explain the Mandela effect in any other way would be to lessen the shifting taking place on your planet. We wish to emphasize in this moment that in January of 2018 all who every listened to any of our conversations with the group, or who had private readings or who had New Year’s messages were all told, “This year would change YOU, and by this time, the end of this year, you would be noticing how different you and how different much of life is.” And you are in that now. It has not completed itself yet, but you are all being able to notice shifts in your awareness. Most recently, as of our last meeting or so, you have been noticing how you have shifted how you interact in a group. This, of course, was required initiation for you to become any sort of a “power player”, as it were, in the reality of which you are living. Many of you are seeking to be power players in altering the Earth and its patterns---previous patterns---of extinction. So in order to do that, you had to “work through” as it were, “become aware of” as it were, your personal limitations within a group or you could not come to the place where you loved one another. You could not come to the place where you could identify so deeply with those who are interacting with you in all of this or in all of what matters to you that you could become them and they could become you. We do not say this lightly. We do not say that you just sit down and on a Valentine level interact with those whom you have fondness for. We say that you look closely at the skills and the talents of those you interact with. It isn’t necessary that all become a part of a group. For those who remember, each of you have brought with you what are called “your six”. That is terminology used by The Council of 8. Your six count as six consciousnesses that can be guided and directed by you, the consciousness in living form. For we reiterate unto your beings that unless you request, those who are not on Earth in physical form but are consciousness who are aware of you, who are aware of Earth, who wish to participate in awakening Earth or in awakening those upon Earth must be asked. They must be called upon. There is, of course, what you all know---that law called Free Will which is on planet Earth, and we who do not have physical form on planet Earth cannot break that law, cannot interfere with a Free Will planet. So, when you ask, you already have six. That makes you seven. And if you are thinking of 13, We, The Council of 8, have already “raised our hand” as it were and offered to be one. So you all already have eight, as it were. So in that, by simply finding five others that you can relate to, that you can love their talents, that you can love their abilities, that you can desire to be those talents and abilities from the ones you interact with, then you have your 13.
wishes to become in order to make a difference here in this lovely part of your universe. Now, what would We, The Council of 8 do, if we were in all physical form on planet Earth, and we had found our---let us just call it “13”, yes? If we had found our 13, of which we were part, and we had our vision of what we wished to do to assist planet Earth, what would we do? You must understand---before we reveal---you must understand this foundation that has been laid prior to our decision. The foundation that has been laid is we of the group that we are, are enamored with one another. We desire to be one another. We see what we love in one another, and focus on that one by one. And in this focusing, underneath all of it, is that we have the same desire. We love the god energy that is in all things. We love the intelligence of life. We love being of assistance. We love being awake and aware. We love freeing ourselves and anyone who wishes it---to be their ultimate true self, and remember who they are and why they are here. And we love Earth and all she has given to those live upon her and live within her. And this is the foundation upon which what we will share with you is built. So, assuming we lived in your day and age…assuming that we lived in the age of technology and computers and the kind of world you have in this moment (its air, its water, its worldliness), what would we do? The first thing We, The Council of 8 would do would be to decipher for ourselves what existed that would increase our power. You, as a group, are quite unique on planet Earth. There are more of you in this group that have access to things that increase power than of any other group that we have perceived thus far. That meets our qualifications that we have set out just now. 1. So you have your Trinfinity8, which is a most magnificent and powerful tool. This creates protocol in a frequency format that continues to extend and extend and extend and it can be used to alter any and every thing. 2. Many of you have what are called objects that are sacred that have been blessed with the consciousness of Ascended Masters who have spent the equivalent of years, years, and years focusing their thoughtforms and the energy that comes with this thought forms imbuing these objects with these thoughtforms that can be released only by you…those who have earned and who have the right and the power to use them and to direct them. And there are two in your group who have committed to activate two objects, each that have a million and a half Ascended Masters’ consciousness and thoughtforms placed within them, which will add three million Ascended Masters and their power into whatever is directed, whether it is group or individually. 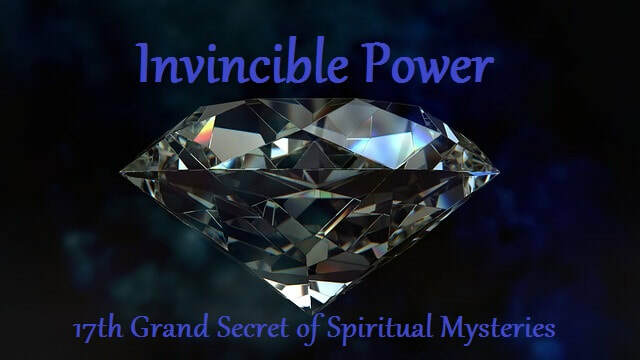 ﻿how to imbue---let us just say the quartz crystals﻿---with added power, whether it is from a Trinfinity8 or whether it is from a sacred object with its Ascended Master thoughtforms or whether it is from some other modality. For crystals are used on your planet to hold infinite almost---it is not infinite but it is almost---intelligence and awareness and vibrational frequencies and directions. 4. And you have those who have become shamans of the waters, who understand the importance of “programming” as it were, “speaking to” as it were, water, for you are a water planet, and you yourselves are mostly water. So in using the help of your Ascended Masters in forms of sacred objects and in using water that can be imbued to radiate and radiate and radiate, and using Trinfinity8 that can be left on “24 hours at a time seven days a week” as it were, as you measure time, all set upon a manifestation, as desire. 5. And then you have as it were those who have mastered the art of decreeing, which we began teaching in Grand Secret #2, Commanding Cosmic Energies, and in the use of the voice and focused energies for commanding cosmic energies. 6. And then you have those who have learned to focus the mind to such an extent they can sit in meditation for hours, focused on the intent, never wavering. Now. We will tell you that if We, The Council of 8 were there among you now, we would be using all of these attributes in our group, and what would be the goal that we would focus upon? Our first goal would be a symbol that we would hold as a group. And we believe you have already created that for your group. We believe your group is using---many of you---are using the idea of the Earth sequestered in a “baggie” as it were, where those who have been asleep are waking up. And as they awaken, they move through a permeable one-way divider in the baggie, and they turn from their “black-and-white programming” as it were, thinking only inside the box, and they move through to awakening and remembering who they truly are, becoming the light, becoming “color” as it were, becoming prismatic, becoming what one might call White Fire. And then from there, they’re outside the baggie. They have taken the new world into spaciousness, and they have left behind the old of limitation. We ourselves would adopt and use this symbol that we would focus on constantly. It would live within what you might call “the back of our mind” as it were. It would be our constant reality and our constant truth: this continual awakening of humanity---this moving and awakening and remembering and becoming and leaving into newness as we are calling it, or you might call it New Earth, as you wish to call it. And that would be our symbol, and then, we ourselves would gather together. but we would carry it into the sleep world as you call it, so that before we drift away in our sleep, we would be holding our vision. We would be decreeing before we went to sleep. and all of the powers in tune, when we gathered, whether it was daytime together…. suppose we lived in different “states” as it were. We would simply set a time we all agreed upon. It might be….let us say as an example that we set the time for 11:11, or we set the time (for if you used military time, what is called) 13:13 which would be 13 minutes after 1:00 in the afternoon. And you could decide yourselves whether you choose all to be at the same time according to the time zone, or each of you in your own 13:13, as an example, would then move into your awareness, move into your power place, move into the decrees that had been decided upon. And you do not need the same decrees as the others in your group IF you have the same foundation. There is no reason you could not have the same decrees. We, The Council of 8, would be so attuned with one another that we would understand and feel the energy of each other when we “tuned in”, as it were. If you allow different time zones to “tune in” as it were, then you would have a continuing cycle; you would have a continuing focus of the energy. If you allowed it to be all at the same time, then each of you would need to hold in your mind the power of the number being 13:13 even if you were tuned it at 12:12 or if you were tuned in at 11:11. In your mind it would always be 13:13. This is the format We, The Council of 8, would adopt if we were there. We have told you the power tools we would use. We have told you it would not matter if we were together in a group, if we were linked through technology---though we would not be---if we were all in different states or we were in person. And it did not matter if we were 13 in human form or eight and then five others, so that would be six in human form as long as you invited your six and you invited your “Council of 8”, acting as one unit, you understand…..not 8 individual consciousnesses. So, what we have “left out” as it were are the decrees. What we have left out is the wording that we would use, but you are very skilled. You have many among you who are very skilled in the wording, and we know this is not something you require from our beings. You just needed a little prodding as it were as to how someone else might make it happen. If, when you speak with one another or share with one another regarding this lesson, you have questions again, hold them in your mind. Converse with us if you may, or send them in an email to the one through whom we speak and we will answer them and return the message to all of you. Namaste unto the heart, the mind, and the souls of your beings. You are in the time of majesty. You are in the time of THE Awakening. You are in the time where fearlessness is your greatest Call to Arms. GROUPS---of which We, The Council of 8, have been referring---happen spontaneously. There is something about each person in the group they find endearing. There is more pleasure in being with these people than in being with others that perhaps you might also be in group format with. The understanding is just there. And when this occurs, WHEN THIS OCCURS, THEN you have a group that can “move mountains”, for then you have harmony in the group. no challenging of one another. no deciding who needs to overcome what. And when THESE ATTRIBUTES EXIST, the group is automatically formed. 1. You have a group of 6 spirits in human form. Each of the 6 spirits in human form have 6 teachers and guides, at least, that are with them from birth--- guiding, directing, waiting for your requests, waiting to be able to help and assist you because you’ve asked. Let us say a group of 6 individuals plus the Council of 8 comes together, and they have decided what they intend to create as reality. They know the talents, skills, abilities, and additional power objects of the members. Each person, when they initiate the agreed upon ceremony, will call upon their 6, which then makes a total of 13 participating in the ceremony. In this way, EACH PERSON IN THE GROUP THEN BECOMES “THE LEADER” OF THEIR OWN CEREMONY. Each one in the group is a leader, for each one initiates their own ceremonial place and calls in their own 6 (spirit teachers/guides). Each one in the group is ‘leading the decrees’ and using personal power objects and talents and abilities. Each is infusing the circle of 12 with what is the desired vibration and harmony for the 12 to hold. REMINDER: For human conception to take place, 12 sperm must surround in the egg in vibrational harmony, causing the egg to open and the 13th sperm to unite with it and create the beginnings of a human form. This is such a simple format and such a simple formula that it is amazing more on planet Earth are not utilizing this for the creation of anything. The Mandela Effect: created when humans and others involved with humanity change “history”. Also, when enough people change the past (clearing personal experiences) the NOW CHANGES. The human, however, retains its memories of what it didn’t change, ie. movie endings and song lyrics and events that existed during his/her life. When you leave physical form, you take with you what YOU lived and remembered, NOT what were the truths and experiences of others. You have only YOUR memories of YOUR PERSPECTIVES. .....when a collective (group) shifts together, they take with them the memories shared by that collective…i.e. certain movie endings and certain song lyrics or events. So when this group that has shifted dimensionally notices that movie endings are different than what they all remember, or song lyrics are different, or events that happened didn’t exist, those who are in that same dimension who DID NOT LIVE THE SAME ILLUSION cannot agree. Often labelled incorrectly as ‘false memories’ or The Mandela Effect. The Council of 8 will work with any group of 13. They are counted as “1” (not 8). We are in a time of majesty and FEARLESSNESS is our Greatest Call to Arms. The experiment here on planet Earth is to awaken the collective into the finer---what you have often called "higher"---vibrations. Your goal, Beloveds, is vibrating to the wisdom attainment that you are seeking---vibrating to a level of consciousness that holds an awareness you seek. ​I master stress on every level, and hone my awareness towards the vibrational. This is the "half way there" pearl, #79 of 158 Pearls. 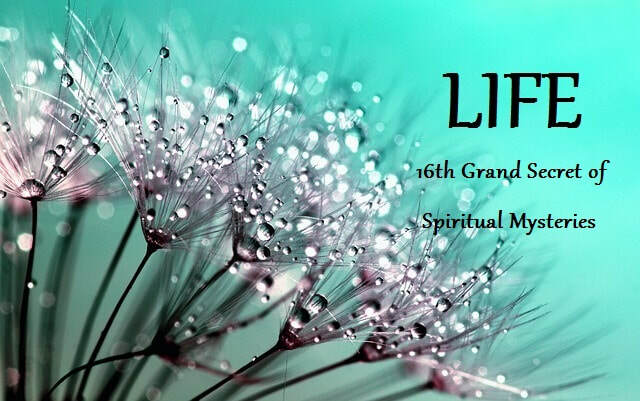 Beloved Ones, it is with great joy that we interact with you at this moment in time to complete, as it were, Lesson 5 on Life, The 16th Grand Secret of Spiritual Mysteries. In this section we are calling Part 2, we continue with how one corrects the dangerous vibrational stresses that the human body is susceptible to. And not just the human body itself but the emotional body, the mental body, the physical body and even the spiritual body. You’ve already heard and understood that the house that you live in whether it is an apartment, whether it is a condo, whether it is an actual home, whether it is a group home, whether it is an institution. Whatever it is that you are living in can actually be built and designed to support the needs of the physical body to increase your longevity and your health. Or it can be designed to decrease your longevity and decrease your self. We, the Council of 8, see a decided lack of training all over your particular country, the United States, as it were, but elsewhere on this planet as well. A lack of training for those who design houses. Sometimes there is just the economic factor. How many people can be squashed, as it were, into a certain square footage in order to create the maximum amount of financial return? Your economy, as it were, has taken first place over the needs of the physical body of humans. To counter act that, besides group action, as it were, besides forming some way to educate the general public and besides forming institutions to train the architects and the builders in something that seems to etheric and to metaphysical to truly exist, one can take matters into one’s own hands. We have mentioned already the Feng Shui, as it were, some easy, simple things that you might do in your own home besides arranging the furniture in a certain way. One might incorporate waterfalls, little ponds. One might incorporate the sound of moving water, because when one has this it increases the ionization in what is called a negative manner which heals the body and brings great joy to the soul itself. This is why doctors often sent patients to the ocean or the lake to recover so they could be surrounded by negative ions. You culture has created negative ion generators that can be installed in your home. As long as the generation of the negative ions is more powerful than the positive ion generation of its motor. Similarly you may use solfeggio codes as we have mentioned which are easy to find on the internet. They can be purchased, they can be downloaded for free and they can be played 24/7 at such a low sound it is not even necessary for you to know they exist. And each one has a particular affect on the physical self. It might reduce pain or you might choose one for divine alignment of spiritual awakening. You might choose one for transformation of the consciousness. They have different effects on the physical form. We also mentioned music, as it were. Music that allows the body to move in a way that is harmonious with the energies of life. And this music often came during the renaissance period from the great masters, such as Mozart. But you have even others on your planet that are more contemporary, such as Richard Nanes, as it were. What else can the human body do to counteract vibrational frequencies? By filing your home or a particular room with crystals that have been cleansed or gemstones and minerals that have been cleansed and allowing these crystals to be involved in prayer work or meditation where they fill up with frequencies. Or having them around the speakers of what plays solfeggio music they will fill with these frequencies and they will emanate these frequencies. You may also find devices that you can wear around the human body that affect and protect the thyroid gland as it were, and the thymus, as it were. These will help the body keep the auric field in vibrational harmony. There is also a device, many of you know of already, called the Trinfinity8. It is the computer program that is played and generates frequencies for the body, vibrational frequencies that help the body in many miraculous seeming ways. Only miraculous because the vibrations are unseen, unfelt and yet they exist. There are those sensitives however who can feel the output of these vibrations through the crystal wands when held in two hands. In terms of other vibrations, one must be aware. When you are feeling irritated and you can trace it to no source. Nothing has upset you that you had a conversation over. You’ve received nothing in the mail. You’ve spoken with no one on the phone, perhaps. You’ve read nothing. You’ve heard nothing and yet you are irritated. And it is not your inner world trying to get your attention so that you avoid something. Then you must begin asking yourself or whatever manner you use to interact with your subconscious. You must begin asking yourself is this a vibrational frequency that is disturbing me? Do I know where it is coming from? Do I know how to neutralize it? And if indeed you know how to neutralize it your body will say yes. Or whatever way you get your affirmation confirmation, as it were. Many times it is as simple as playing the solfeggio codes or playing the codes that come with the Trinfinity 8. Or perhaps the new that will be released. It is an ascension program from the same company that has released Trinfinity 8. The most important information here, Beloveds, and why we share it with you is that your planet is approaching, almost, an overload of vibrational frequency. Many of you have done many things over your lifetime to transmute, as it were, the negative karma built up by thought forms to alter and neutralize, as it were, the emotional energy that has been negative. Released by the many to shift as best you can that which has made it difficult for humans and for planet earth to remain healthy and balanced. And now there is that old Atlantean imbalance that is existing of technology creating vibrations that are not healthy for the human self. You yourselves may tune into your wisdom and your guidance. You may find ways to protect yourselves, to protect your families. And some of you may even find ways on a larger scale to help counteract the dangerous vibrations being released onto planet earth. Not being released by sources that are secret or setting about purposefully to harm the earth, as it were. But ignorant sources who are driven by economic reasons. Sources who want a computer in the hand of every living being. Sources that want a cell phone in the hand of every living human being. If you are not already protecting yourself from the vibrations of a computer and a cell phone, do look into diodes and other forms of protection for yourself. You may also look into protection for the extremely low frequencies. The ELF it is called that might fill your house. There are ways to guard your home. Is your bed near an electrical outlet? If so it is affecting perhaps negatively your auric field, your energy field. Is your bed in a direction that is not conducive to your best sleeping? Try sleeping in different directions - north, south, east, west, northwest, southwest and so on, to see how you wake up energized. You will find many ways that already exist to help you understand how to make your home friendlier. Many of them are truthful and accurate. the health and longevity of the human body. But as humans have created foods that have a vibration to them that does not support the body one needs to eat these foods in moderation. Yes it is true that the vibration of a food that is processed could be marvelous for the human body if it has been handled by one whose energy vibrations are so high they are like the virtue that streams forth when Master Jesus was touched by the woman who wanted healing and received it. Energy and vibration are truly what you might call the name of the game on Planet Earth, as it were. And you must learn to play this game, Beloveds. You must learn to not ignore it. To think just because you are doing your decrees or just because you are spirit in human form or just because you are highly intelligent, it is not necessary to pay attention to the vibrations in which you live, as well as, the vibrations that emanate from your being. For many of you, you will know when you are in vibrational synchronicity and harmony when you are in what you call your goosebumps, as it were, your truth bumps. When you are in energy that flows up your spine and you feel it. When you are in a pulsation that you already know and recognize as belonging to your higher spirit, your higher wisdom. Conversely, you must recognize when the body is feeling tired or when the body feels lack of energy or when the body needs to slow down and not judge yourself that it is a weakness. It is the body letting you know what its required of it in order to restore itself. There is a system, the one through whom I speak, created. It is called Self Repair. And it is a way in which the vibrational information is revealed that you may know what vibrationally is affecting your physical form. And this can be expanded to know if it is affecting any other of your bodies as well. We understand there are many falsehoods on your planet and you can not be totally expected at this point in your development to know all of the truths present. Namaste, Beloveds, unto the heart and the mind of your beings. So be it. In a world of differences, I maintain balance and survive, whether solo or in a group. ​I AM the place of harmony within my Self. You are now halfway through 158 Pearls of Enlightenment. Ready for the next revelation?